Lock in a great price for Internatsionalnaya 54, city center – rated 8.5 by recent guests! Located in Tambov in the Tambov region, Internatsionalnaya 54, city center features a balcony. This apartment also has free WiFi. 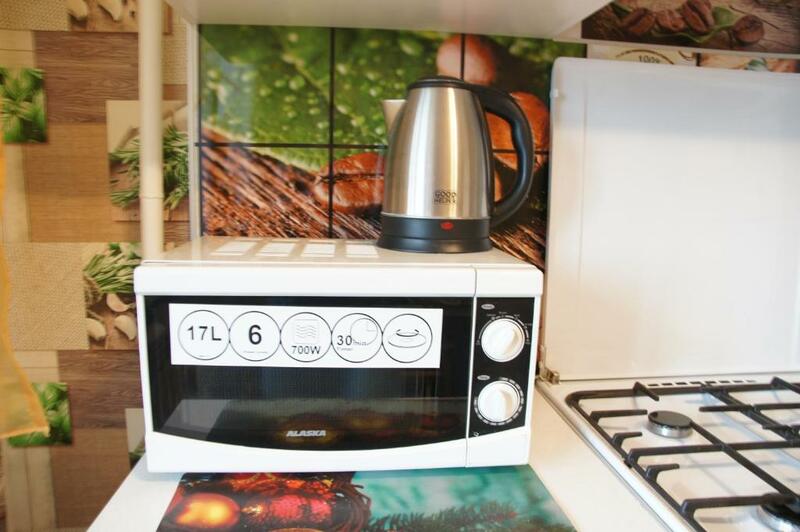 This apartment has 1 bedroom, a living room and a fully equipped kitchen with an oven. A TV and DVD player are provided. Tambov Donskoye Airport is 7 miles from the property. This property also has one of the top-rated locations in Tambov! Guests are happier about it compared to other properties in the area. When would you like to stay at Internatsionalnaya 54, city center? House Rules Internatsionalnaya 54, city center takes special requests – add in the next step! A RUB3000 damage deposit is required on arrival (around USD46.89). This deposit will be fully refunded at check-out, as long as there isn't any damage to the property. A damage deposit of RUB 3000 is required on arrival. That's about 46.89USD. This will be collected as a cash payment. You should be reimbursed on check-out. Your deposit will be refunded in full, in cash, subject to an inspection of the property. Please inform Internatsionalnaya 54, city center of your expected arrival time in advance. You can use the Special Requests box when booking, or contact the property directly using the contact details in your confirmation.